Do You Seek Wallpaper Removal in the Chattanooga Area? Did you just acquire a home that still has wallpaper in it? If you’re in need of Chattanooga wallpaper removal services, then just call the pros at Williams Painting Company. We can get rid of that old wallpaper using our method which won’t hurt or damage your walls. Call today for more details on how we can bring your walls back to life. A previously owned home need attention. Of course you’re not going to like everything in it so, that’s why you have the options to change it. If you think that a fresh coat of paint would replace the unsightly look of wallpaper, then you may want to bring us aboard. Removing wallpaper is not easy. In fact, it’s quite difficult. 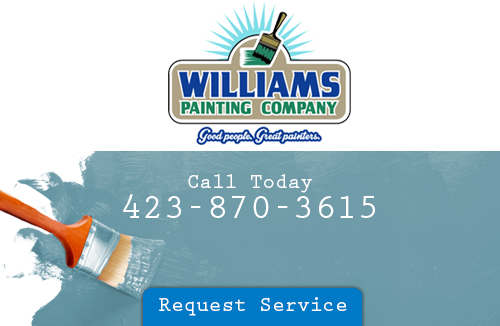 The adhesive that’s used makes it almost impossible to get off, but not when you go with the services from Williams Painting Company. We’ll be able to rid your home of wallpaper using a special solution. In order to remove your wallpaper, we have to poke tiny needlepoint holes in the wallpaper itself. This will make it a lot easier for the solution to seep through. Once we poke holes, then we spray the solution in to your walls. Once the solution has sat for a while, then we prepare for the Chattanooga wallpaper removal by putting tarps on your flooring in order to catch the paper. We do a great clean up job afterword as well. When you hire us, you’re getting pure professionalism through & through. After we get a majority of the wallpaper off your walls, we use sponges and warm water to get the rest off. You’ll actually be able to see what your walls look like again. That should bring back happiness to you and your family.Wallpaper may be a thing of the past, but we’re able to eliminate that part of the past off your walls. You won’t have to look at it for very long. Just contact us and we’ll come out to rid it. We’re easy to get in touch with and very reliable with our services. Our staff has lots of experience with wallpaper removal. We’ve been around since 1989 and have been growing strong ever since. 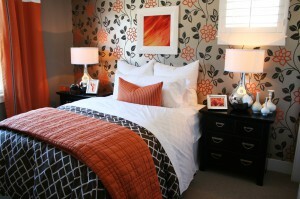 Let us modernize your home today by ridding it of wallpaper. You’ll appreciate just how good we can make your home. Let Williams Painting Company be your Chattanooga wallpaper removal experts. We’re not just a painting company, we do it all. If you want your home done up right, then we’re the ones that can do it for you. Call us and see. If you are looking for a Chattanooga wallpaper removal contractor, please call 423-870-3615 or complete our online request form.